CUBE6 design and supply Thermal Floors to suit ‘U’ Values up to 0.07W/m²K and can guarantee competitive costs for all projects. The key to the system is the ability to alter the depth and type of polystyrene infill panel. We achieve the required ‘U’ Value regardless of the size of the house (detached or terraced) or the configuration of beams required within the floor. We provide a bespoke system for the cost of an off the shelf product. 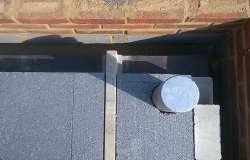 Unlike other systems available we do not require special edge blocks, clips, pushpins, additional insulation or other associated items to complete the floor. The panels are supplied in one piece to suit the spacing of the beams and multiple beams where required. This not only increases the speed of installation but ensures that components are installed correctly as it does not rely on the experienced installers. The concrete topping, laid directly over the thermal floor, forms the final floor finish, which in turn reduces the overall construction height. Meets Part L requirements for 2014 and beyond. Cost effective in comparison to traditional beam and block. Infill blocks & insulation in one lightweight product. 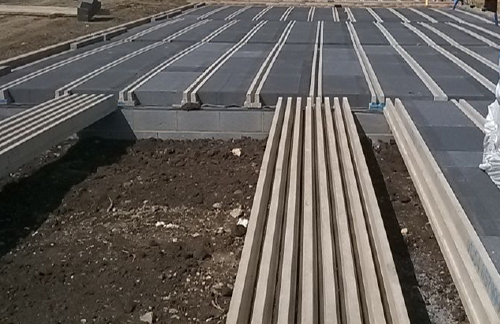 Compliant with “stapled” underfloor heating systems. Improvements in Health and Safety. 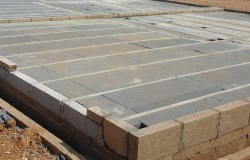 Approved and supplied to major housebuilders, developers and housing associations.